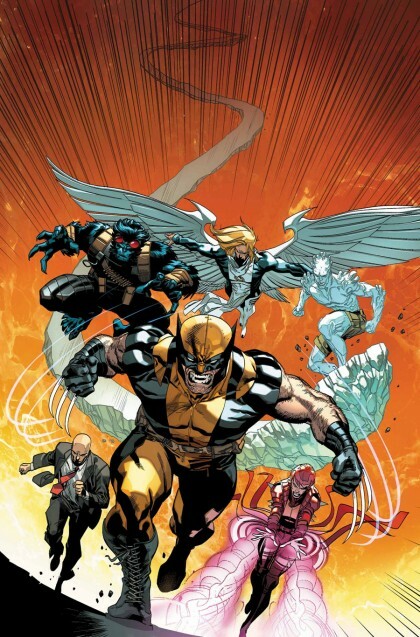 HEATHER’S PICK :: WOLVERINE and the X-MEN #15: There’s so much to love about this book: Wolverine dealing with a bunch of teenagers, bamfs running amuck through the Jean Grey School and stealing Wolverine’s whiskey all brought to us by Jason Aaron’s excellent sense of humor. Now we add to that an unlikely friendship between one of my favorite, Broo and Tony Stark. I’m also excited to see new students are joining the school and looking forward to the resolution of the AVS storylines. As always, do not feed the bamfs.